Home / Archive by category "innovation"
The importance of Ireland’s Campus based Business Innovation Centres to our economic recovery was emphasised today by Minister for Research and Innovation, Sean Sherlock, T.D., at the launch of EU funded pilot initiatives to support the export plans of new business ventures emerging from the higher education environment. The TESLA project is a three year EU Transnational project which is assisting early stage technology based firms to grow and develop through a programme of innovation supports designed to help firms internationalise more quickly and access new EU markets. The project involves eight partners from six EU member states – Ireland, Wales, Germany, France, Belgium and the Netherlands. TESLA is made up of Universities & Higher Education Institutes, Business and Innovation Centres and a public sector Regional Assembly. The total value of the project is €3.8m. The BMW Regional Assembly is the Lead Partner for the project. 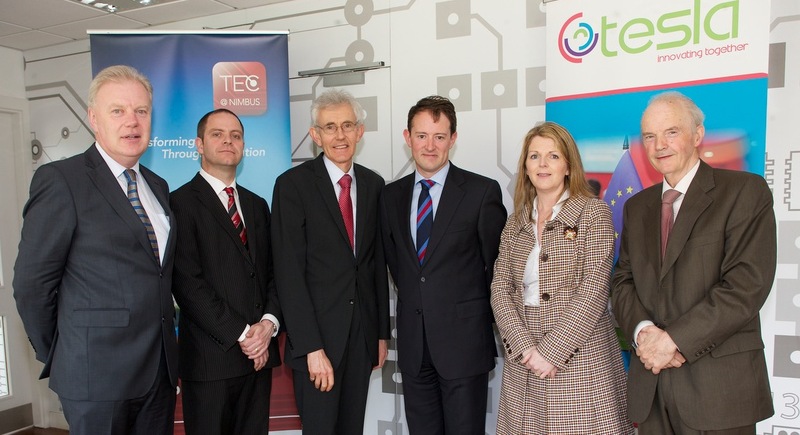 The Rubicon Centre at CIT and Lionra, (the Regional Higher Education Network for the BMW region) are also partners in TESLA and will together deliver five of the ten project actions. “The strength of the TESLA brand is the Transnational aspect of the project. Each Partner brings distinctive and extensive knowledge and expertise to the table across a wide range of business areas such as Business Finance, EU Procurement and EU Market intelligence for the benefit of small business growth. From a broader EU perspective the project will contribute to the objectives of Europe 2020, especially the Innovation Union Flagship Initiative.